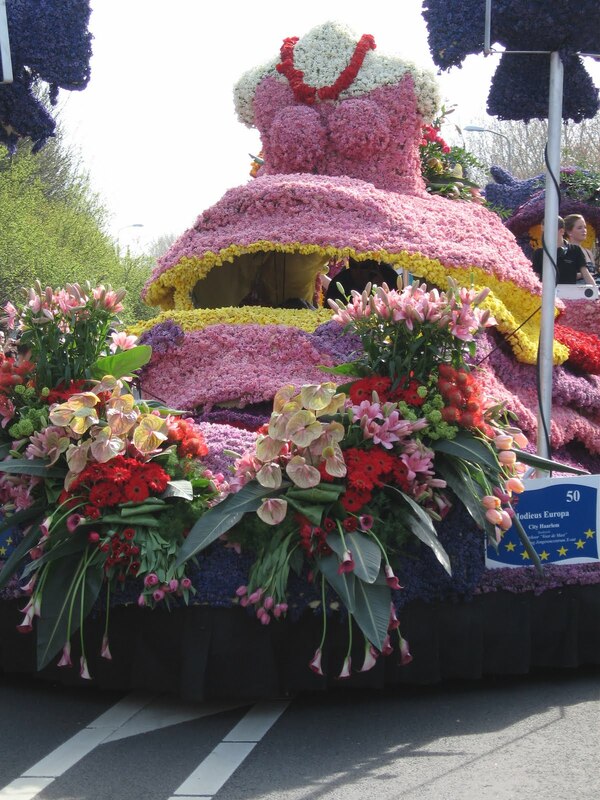 With so many colors, textures, and types of flowers to choose from, a float dedicated to fashion could have been amazing. Instead, the monstrosity (see pic below) was included in the 2010 Holland flower parade. 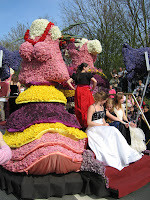 There are so many things wrong with this float inlcuding: a lop-sided chest, pastel colors which would have made a 1950's prom queen cringe, ruffles that are too excessive for even the 1980's, and a skirt with holes big enough to put Lindsay Lohen to shame (and to flash everyone else in the meantime). The dresses on the girls sitting at the back aren't helping either. Recommendation: Project Runway should create floats centered around fashion for the parade next year. Then the parade should drive through the streets of Paris during Paris Fashion Week. This wouldn't be a far stretch from some of the challenges which the designers already are asked to do. And the results would be gorgeous to see and smell wonderful!